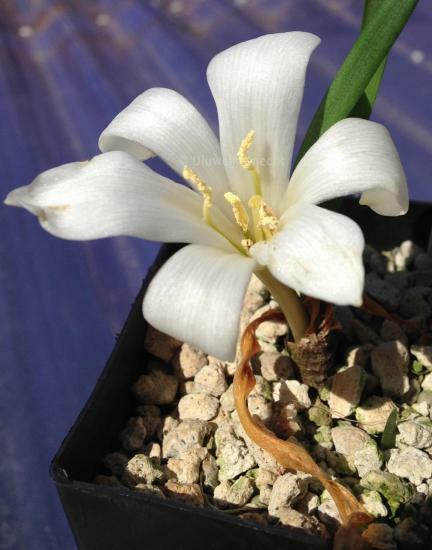 Apodolirion is a bulbous genus in the Amaryllidaceae family found in Southern Africa that is very similar to Gethyllis and some feel should not be a separate genus. 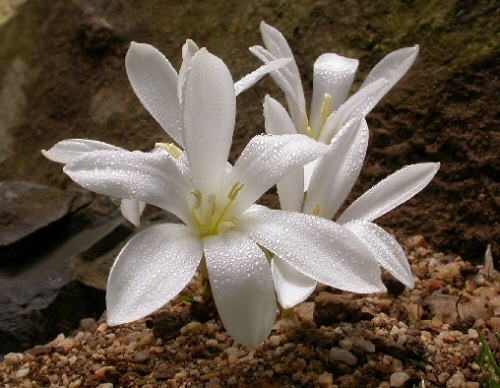 The main difference is in the attachment of the anthers. 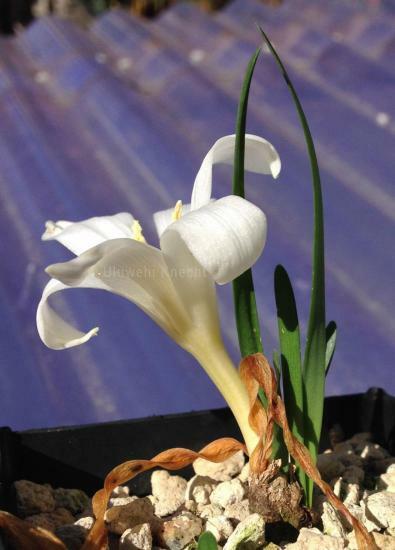 Flowering, fruiting, and leafing do not usually occur at the same time. This genus has a subterranean ovary that provides protection for the seeds in the hot summers so they will mature in time for fall rains. Apodolirion macowanii is an Eastern Cape species found on sandy flats. It has two to four twisted green leaves sometimes present at flowering and fragrant white flowers that are produced in mid to late summer followed by the fruit, an orange-yellow berry. Photo 1 was taken by Tony Dold and photos 2-3 were taken by Jacob Uluwehi Knecht.